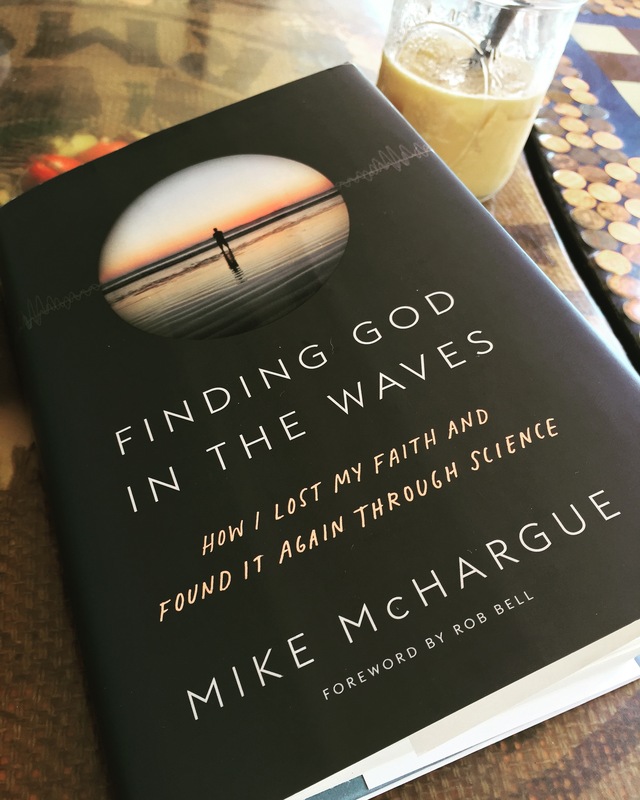 Perhaps it was the pressure of the unknown or the quest to give my experience meaning, whatever the case, I think what Mike McHargue says in his book, Finding God in the Waves, is spot on. Our pain – however we choose to cope with it – define us for better or worse. In my attempt to embrace my experience and give it meaning, I started to recognize it was/is my way of coping with the pain. So in the past few weeks, I have re-examined my insane schedule (admittedly, self-inflicted), and began noticing little margin between 5:30 am to the time I go to bed around midnight. My restless personality and drive got the best of me and now I want to slow down and refocus on what is important. Apparently, this kind of focus is not something you can put on autopilot, but something to be directed and constantly attended, because my family and friendships are worth my un-anxious presence. Meaningful relationships are not meant to be something squeezed into the margins of your life. So I am again embracing the good news, as it has always been, the hope of choosing a fresh start everyday, so for today I am choosing to move forward. 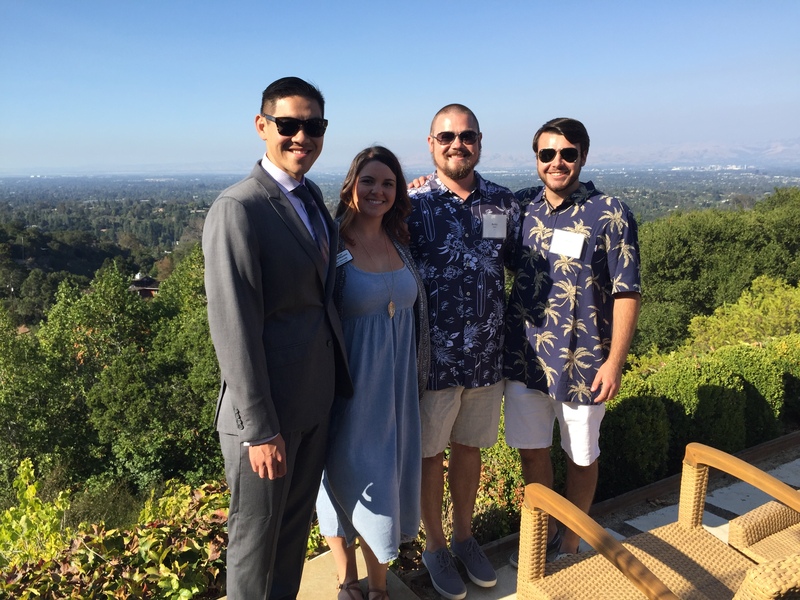 I was honored a few weeks ago to be invited to speak for Cancer CAREpoints – Garden Party. Cancer CAREpoint in the Silicon Valley provides services to cancer patients and their caretakers with non-medical treatment that include counseling, massages, wig services, nutrition, support communities and more. My friend Megan, first introduced me to Cancer CAREpoint who helped me figure out my early nutritional needs and I even got a massage which, if anything, boosted my spirits. As far as my health goes, there is a lot to catch up on, so I wanted to do something different with this post and add a video blog to capture a normal day without a stomach now that I am two years out. The constant adjustment to your diet is something you never really get used to. Figuring out the balance of nutrition with bloodwork, logging how you react to certain foods, is not always formulaic. What worked for me last year, all of a sudden stops for me in April and starts working again in June. What is easy for me to eat one week, makes me incredibly nauseous a few weeks later. Being a foodie and someone who desires diversified meals week to week – what comes next is an exercise in self-discipline. This past spring and summer I began to notice my body throwing me another change up. Throughout the summer I noticed myself not feeling right a couple hours after a meal – like my brain was not functioning correctly and I would operate out of a haze when all of a sudden I would start to slur my words and sweat profusely. This happens to be the symptoms of hypoglycemia in which my body responds to influxes in sugar by dumping insulin into my system, which causes my blood sugar to drop to unfunctional levels (for me, I begin to feel it under 50 mg). While at summer camp with the students, I was sitting in the chapel when I started not feeling well and took my blood sugar. The number made Kate do a double take because it was 227 which is normal… if you are a diabetic. Within the hour my blood sugar dipped to 37 and I started slurring my words, sweating and not thinking clearly. The first organ that came to mind was my pancreas which produces insulin to regulate blood sugar. Forgive my rudimentary science, by the way. My mind was racing – did I somehow become a type 2 diabetic on top of it all? It was time for some research. Kate stumbled across some information for patients who had undergone gastric bypass for weight control. In some of these cases, around the 2 year mark, some patients become more prone to reactive hypoglycemia. My doctor ran some labs which thankfully revealed my pancreas functioning fine, but he referred me to an endocrinologist to help me figure out my situation with hypoglycemia. Long story short, the first solution she gave me was to eat under 50 grams of total carbohydrates per day, ideally, under 20 grams per day. The second solution was to remove my pancreas making me a type 1 diabetic for life. At this point, the more organs I can keep, the better, so I’ll opt to live on 50g’s. Unfortunately, the homemade beans, buttery garlic bread, delectable BBQ sauce and crispy onion rings have to get passed on, but thankfully the tender pork ribs are still on the menu. The thought of living off 50g’s of carbs per day seemed impossible to me because literally everything has carbs in it. In fact, I never considered the amount of carbohydrates I was consuming until I went on this low carb high fat diet, also known as the keto diet. While I thought she was crazy to cut so many carbohydrates out of my diet, I have not had an episode of hypoglycemia when I am disciplined to stick with the plan. The key word being: discipline. I am not going to lie, the first few weeks on the diet I felt like I was dying. Every croissant and sweet potato looked like it was sent from heaven. Second, the change in my diet left me feeling lethargic all day long. Third came the leg cramps and the noticeable dip in my athletic performance. Did I mention how much I missed the croissant? After a couple weeks Kate and I were riding in the car when I noticed that I cannot remember the last time I took carafate (for my chronic bile reflux). We looked it up and apparently the Keto diet is recommended for anyone suffering from bile reflux or GERD. Up until this point I was taking carafate multiple times a day and slept sitting upright. So for the first time in two years, I have actually been sleeping flat on my back and getting more rest. I thought my endocrinologist was crazy, but it works. While 20g’s sounds impossible, I am not sure what I would gain if I am feeling good at 50g’s. Maybe this will change in a few months, but for now I’ll enjoy the rest. The carb crash is real Steve. I’m always amazed how similar and different experiences we all have. I’m slowly trying to reduce carbs to thwart general discomfort, late night bile, feelings of fullness and lack of nutrition. Keep on doing #thatdangthing. Love the post. Hi Diane, it is definitely an adjustment to the lower carb, but since this post I have found that limiting the carbohydrates that convert directly to sugar like white breads and anything that messes of the osmosis of water in the cells, is what really leads to hypoglycemia and dumping. I’ve been able to handle fruits well, but overall, my average carbohydrate intake is around 50 to 100g per day. I try and increase my carbs before I work out as well. Hope all is well!